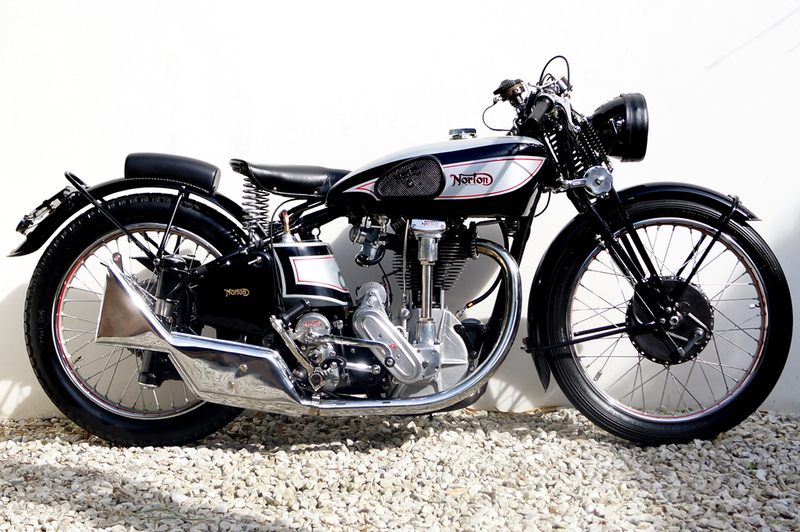 -JdK- Marco in Switzerland sent these pictures of his 1938 Model 30 Norton. 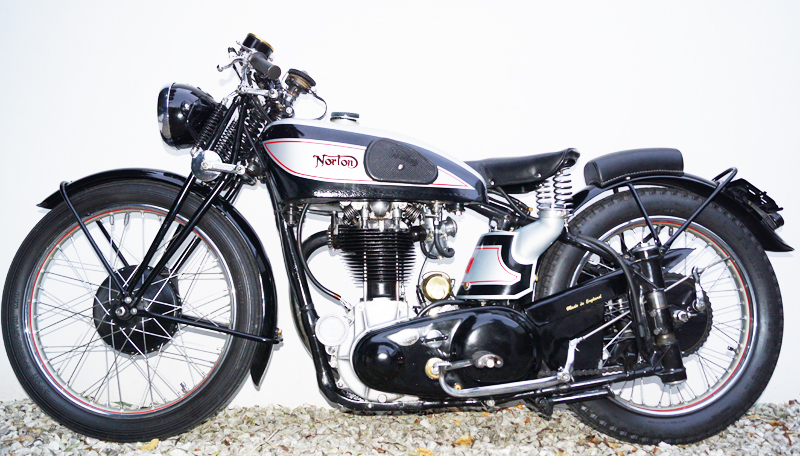 The machine has matching numbers for frame, engine, gearbox and girders. It was despatched the 2nd of April 1938 to Norton’s Italian Agent 'Mototecnica'. 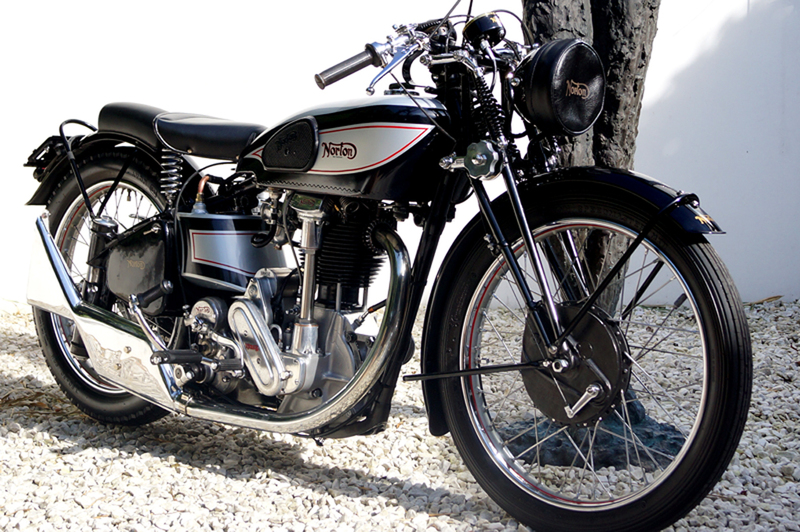 The correct original Amal 10TT9 carburetter is available as are the correct straight levers for clutch and brake. 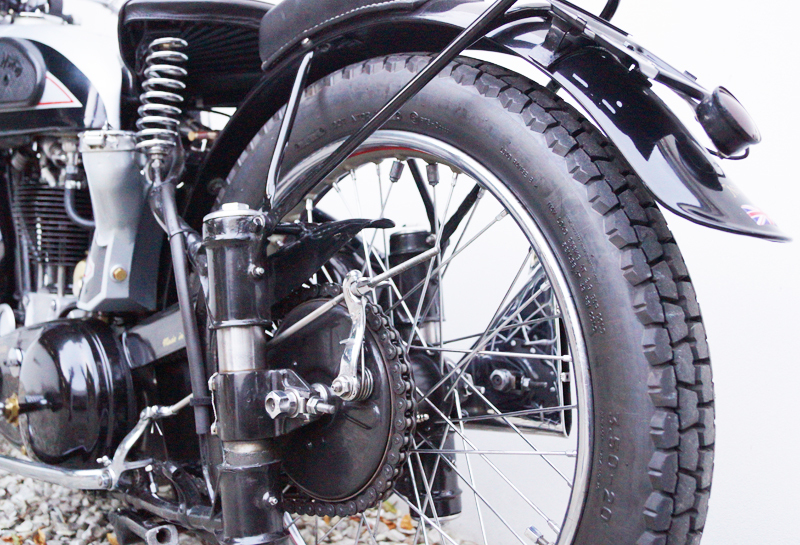 The oiltank is a replica of the type fitted to the sportier versions of the Model 30. The toolbox contains a battery. Saddle and bumpad are replica in leather.